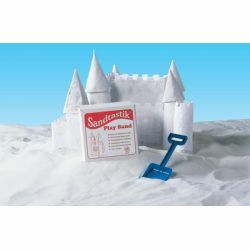 Indoor play sand in sparkling white for sand tables and art projects. Molds readily when damp. AP nontoxic. Contains no free silica. 25 lbs. box. Additional shipping charges apply.